Flowing out of the nation’s first wilderness area, the Gila River supports outstanding examples of southwestern riparian forest, cold-water fisheries and a remarkable abundance of wildlife. The Gila River provides significant economic value to the region, with superb opportunities for outdoor recreation, nature-based specialty travel and wilderness experiences. 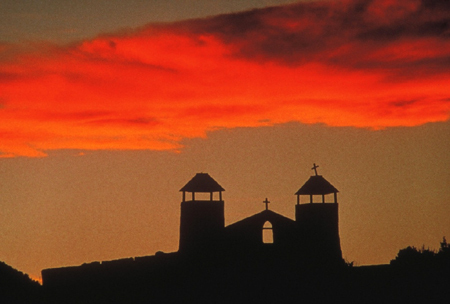 It is also important to indigenous peoples who have lived in southwestern New Mexico for thousands of years. Many cultural sites are found along the Gila River and throughout its watershed. Furthermore, the Hispanic community has a culture, heritage and way of life tied to the river and forest, where generations continue to hunt, fish, hike and enjoy family time together. After more than a decade of planning and more than $15 million spent, a substantial diversion project is in the last year of review under the National Environmental Policy Act. A draft environmental impact statement is expected in April 2019 with a record of decision by the end of 2019. Despite the projected high costs, severe delays in schedule and feasibility issues with multiple iterations of the diversion proposal, this project continues to move forward with likely support from the Trump administration. In this critical year, New Mexico Governor Michelle Lujan Grisham can eliminate the threat to the Gila River by withdrawing the project from the Arizona Water Settlements Act process and instead spend available AWSA funding on non-diversion projects to meet the water needs of communities throughout southwest New Mexico. Governor Lujan Grisham has pledged to end work on the diversion by using these funds more efficiently on other projects and to ensure that the Gila River is protected by federal law. We urge her to fulfill this promise, saving taxpayers and water users money, providing direct benefits for area farmers and businesses and protecting the Gila River for future generations. All eyes are on Arizona and California with Brenda Burman’s extended deadline coming up on Monday. They are dealing with the Lower Basin Drought Contingency Plan, which really should be a plan to address the declining supply and increasing demand that causes an annual deficit. (H/T Eric Kuhn over at Inkstain. Water poured into an artificial wetland next to the Gila River near Sacaton as Arizona’s leading proponents of a Colorado River drought plan celebrated the state’s progress in moving toward a deal. Leaders of the Gila River Indian Community touted the restoration project as an example of putting water back into a river that has was sucked dry over the years, and a symbolic step in promoting sustainable water management in the state. The inauguration ceremony on the reservation featured traditional singing by men and boys who shook gourd rattles in unison. Gov. Stephen Roe Lewis said the community, which has agreed to contribute water under the proposed Colorado River deal, is playing a vital role in helping to finish the three-state Drought Contingency Plan, or DCP. Yet even as Arizona’s top water officials expressed optimism about finishing the drought agreement after months of difficult negotiations, they also voiced concerns that unresolved issues in California still could upend the entire deal. 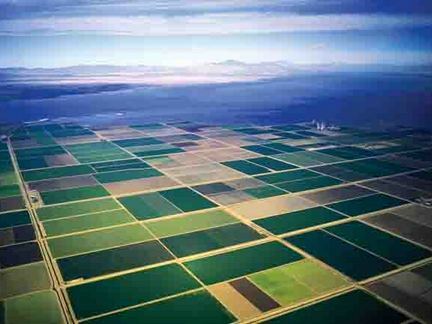 More than 250 miles to the west in California’s Imperial Valley, leaders of the irrigation district that controls the largest share of Colorado River water were still discussing a key condition of their participation. Imperial Irrigation District officials announced at a meeting on Friday afternoon that the federal Bureau of Reclamation has agreed to their condition that the drought package include linkage to funding for the Salton Sea. They said federal officials will write a strong letter of support backing IID’s requests for $200 million in Farm Bill funding for wetlands projects around the shrinking sea. The projects are aimed at keeping down dust along the shorelines and salvaging deteriorating habitat for fish and birds. Reclamation Commissioner Brenda Burman, the U.S. solicitor and staff are finalizing a letter stating that “they consider the restoration of the Salton Sea is a critical ingredient of the drought contingency plans and cannot be ignored, and they stand prepared to help the IID with the Department of Agriculture to try to get funding in whatever way possible,” said IID attorney Charles Dumars. The board also voted unanimously to oppose a supposed “white knight” offer by the Metropolitan Water District of Southern California’s general manager, Jeffrey Kightlinger, to provide IID’s portion of water to be kept in Lake Mead if the agency doesn’t sign on to the drought plan. The Gila River Indian Community’s involvement is key because the community is entitled to about a fourth of the water that passes through the Central Arizona Project, and it has offered to kick in some water to make the drought agreement work. Gov. Ducey signed a package of legislation on Jan. 31 endorsing the Drought Contingency Plan. Arizona still needs to finish a list of internal water agreements to make the state’s piece of the deal work. State officials have presented a list of a dozen remaining agreements, two of which would require the approval of the Gila River Indian Community. But Cooke said not all the agreements need to be signed for the three-state deal to move forward. Cooke said he’s focused most of all on finishing a framework agreement for Arizona focusing on “intentionally created surplus,” a term for unused water that is stored in Lake Mead. Today, elected officials of the Gila River Indian Community, including the Governor, Lt. Governor and several Council members, determined that the Community had received sufficient assurances that HB 2476 was “dead” and that the Community could re-engage in the effort to finalize the Arizona Drought Contingency Plan Implementation Plan. Community elected officials came to this determination after meetings with Speaker Pro Tem T.J. Shope, and House Minority Leader Charlene Fernandez and Senator Lisa Otondo. Due to unjustified attacks on the Community through the Arizona legislative process in the form of HB 2476, earlier this week the Community informed the Chairs of the Arizona DCP Steering Committee that if the Arizona legislature continued its consideration of HB 2476, the Community would have no choice but to withdraw from the Arizona Drought Contingency Implementation Plan altogether. Based on the assurances received at today’s meetings, especially those from Speaker Pro Tem Shope, the Community officials determined that HB 2476 is dead and as a result that the Community is able to move forward with the Arizona DCP Implementation Plan despite this unwarranted attack on the Community. Stephen Roe Lewis via the Gila River Indian Community. The purpose of HB 2476 is ostensibly to repeal a cardinal principal of Arizona water law, the so-called “use it or lose it” rule codified in the State’s very first water code as a rule of forfeiture. Under the forfeiture statute any water right holder who does not use his water rights for an uninterrupted period of five years, without a legitimate excuse specified in the statute, can be found to have forfeited that right. 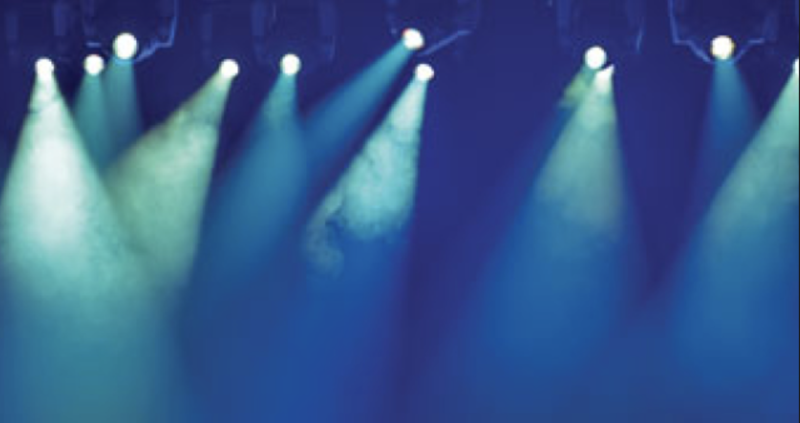 This “use it or lose it” principle is an essential element of the water codes across the arid West, and appears in 16 different state water codes in almost the same form. If HB 2476 were enacted, Arizona would become the first and only state in the West to repeal such a forfeiture statute. On February 19, 2019, a hearing was held on HB 2476. While the hearing was supposed to focus on the forfeiture statute and its effect on certain water users, the testimony and questions instead focused on the Community’s actions in federal district court to legitimately enforce its settlement and to protect its water rights under its settlement. Most of the witnesses who testified actually stated in open testimony that they were concerned for their “hot” land farming practices, a term that refers to a practice of illegally using water from the Gila River, water to which the Community has a clear and superior right. The misstatements made during the testimony and questions posed made it very clear that this hearing was intended to be a form of “show trial” for the Community, whose real purpose could only have been to somehow intimidate the Community into not enforcing its rights. At the end of the hearing, the proponent of HB 2476 asked that his bill be “held” so that he could review its legality and perhaps refine it so it could perhaps be raised again at a future time, leaving the Community with no clear indication as to whether the bill would move forward or not. This decision to hold HB 2476 put the Community in an untenable position, as it could not proceed with its participation with DCP until this issue was clearly put to rest. Today’s meetings provided the Community with an opportunity to discuss directly with key members of the Arizona Legislature whether this legislation is for all intents and purposes “dead” for this session. In the meeting with the Rep. Shope, as a member of House leadership he was able to convey to Community tribal leadership that Speaker Bowers had assured Rep. Shope that the Speaker did not intend to take any further action to move HB 2476 forward this session. In addition Rep. Shope also assured Community leaders that even if Speaker Bowers might decide to move the legislation forward, Rep. Shope would himself vote against it on the floor. During the meeting, Community leaders made clear why they felt HB 2476 was a purposeful attack on the Community and how the hearing had completely misrepresented the Community’s legitimate actions and efforts to enforce its water settlement rights,. Rep. Shope offered to take these concerns back to the legislature to help educate other members on this issue. In a separate meeting with the Democratic House Minority Leader, Rep. Charlotte Fernandez, and with Sen. Lisa Otondo, they both reiterated their caucuses’ support for the Community in its opposition to this unjustified attack in the form of legislation. In a separate decision, Community leaders authorized its water team to continue its efforts to protect the Community’s water settlement and to enforce the Community’s rights as and when necessary. A major player in the drought contingency plan on Thursday yanked its scheduled ratification of its part of the deal, potentially upending any chance of the state meeting the March 4 deadline set by the Bureau of Reclamation. 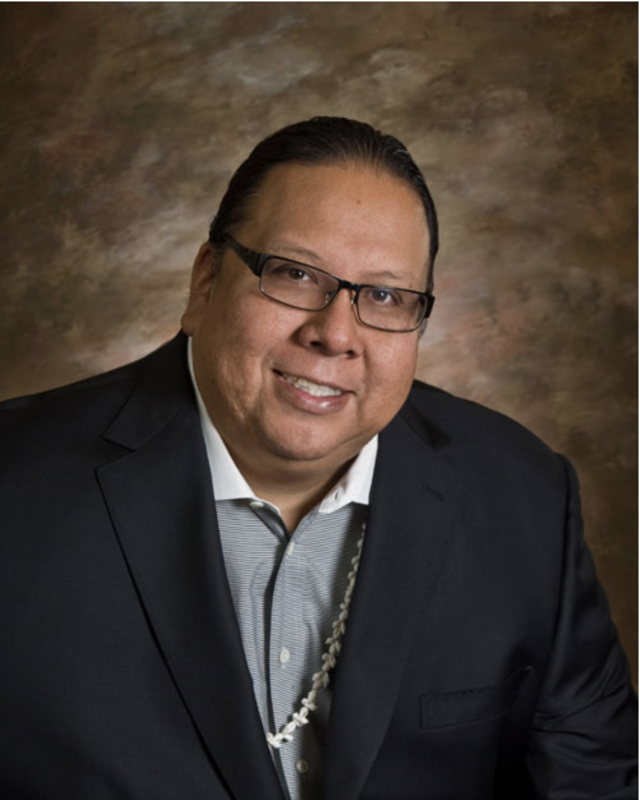 Stephen Roe Lewis, governor of the Gila River Indian Community, said he had called for a special meeting of the tribal council to consider and approve the necessary agreements to provide up to 500,000 acre feet of water between now and 2026. That was designed to help make up for the water that the state will no longer be able to draw from Lake Mead, much of that earmarked for Pinal County farmers. But Lewis said he learned that House Speaker Rusty Bowers has his own hearing set for Tuesday on legislation that would affect the tribe’s rights to water from the Gila River. As a result, Lewis said he and the council have decided they won’t consider ratification. “This step may very well prevent us from being in a position to approve the Arizona DCP implementation plan in time to meet the very real deadline established by the Bureau of Reclamation, or in fact ever,” Lewis said. And the tribal governor made it clear who he thinks will be to blame if the whole deal falls apart. “While Speaker Bowers’ action may have placed the future of DCP in serious jeopardy, it will not shake our determination to protect our water settlement,” Lewis wrote. Bowers declined to comment on the latest development. But an aide to the speaker said that, at this point, Bowers intends to pursue his legislation, even with the threat. That echoes the comments Bowers made last month to Capitol Media Services when the tribe first said he has to drop his legislation. “I’m not going to back down,” he said at the time. And he lashed out at the tribe for trying to link the issues. Gov. Doug Ducey, who has made approval of the DCP a key goal, sidestepped questions about the new hurdle, with press aide Patrick Ptak saying only that his boss is focused on working with other states to get Congress to approve necessary changes in federal law. The legislation that threatens to blow up the deal, HB 2476, concerns at what point people who had one time had the right to divert water from the river lose those rights. As the law now reads, those rights were forfeited if the water was not used for at least five years. Bowers wants to repeal all that. That, in turn, would affect ongoing lawsuits about who gets to claim water from the upper Gila River, water that the tribe says belongs to it because the prior users forfeited their rights. MARICOPA — In satellite images, the farm fields in central Arizona stand out like an emerald green quilt draped across the desert landscape. Seeing it from the ground level, the fields of alfalfa, corn and wheat are interspersed with the furrows of freshly plowed fields. After the cotton harvest, stray fluffy bolls lie scattered on the ground like patches of snow. A large share of the water that flows to these fields comes from the Colorado River, and the supply of water is about to decrease dramatically. Under Arizona’s plan for coping with drought, farmers who’ve received Colorado River water from the Central Arizona Project Canal for more than three decades now expect to see their allotment slashed more than 60 percent, from 275,000 acre-feet to 105,000 acre-feet per year for the first three years of a shortage. After that, their supply of Colorado River water will be cut off and they plan to rely solely on pumping groundwater from wells. The plan to shut off deliveries of surface water to farms in Pinal County shows how the demands of agriculture are starting to collide like never before with water scarcity and climate change in the Southwest. The strategy of turning to groundwater pumping will test the limits of Arizona’s regulatory system for its desert aquifers, which targets some areas for pumping restrictions and leaves others with looser rules or no regulation at all. The Colorado River irrigates more than 5 million acres of farmlands and supplies about 40 million people in cities from Denver to Los Angeles. Nineteen years of drought and chronic overuse, combined with the worsening effects of climate change, have pushed the levels of the river’s reservoirs lower and lower. Lake Mead, the country’s largest reservoir, now sits just 40 percent full and approaching a shortage. Under the proposed Drought Contingency Plan for the river’s lower basin, Arizona would join with California and Nevada to take less water out of Lake Mead in an effort to prevent it from falling to disastrously low levels. During the Legislature’s discussions of Arizona’s piece of the drought deal, the plan to provide state funding to Pinal irrigation districts prompted debate. There also was debate about how the agriculture economy will be affected. The Arizona Municipal Water Users Association, which represents cities that supply water to more than half the state’s population, said in a Jan. 7 economic analysis that Pinal County agriculture represented about 0.2 percent of Arizona’s economy in 2016, and that about 11 percent of the county’s agriculture industry is at risk due to the water cutbacks under the Drought Contingency Plan. While growers will have to shrink their crop irrigation by one-third on average, the association said, much of the county’s farming economy is based on dairies and beef production. It said feed for the cattle can be brought from outside Pinal County. Given all the stresses on water supplies in the desert Southwest, the farmers in Pinal have faced questions about their choices of crops, their irrigation methods and their plan to rely on more groundwater pumping. Critics have asked whether it makes sense to continue growing thirsty crops like alfalfa and cotton in the desert. They’ve also called for more investment in using water more efficiently on the farms. Sandy Bahr, who leads the Grand Canyon Chapter of the Sierra Club, criticized the plan to use taxpayers’ money for new wells and other water infrastructure. She said this goes against decades of water policy in Arizona aimed at reducing the pressures on groundwater supplies, from the construction of the Central Arizona Project canal starting in the 1970s to the passage of the state’s landmark Groundwater Management Act in 1980. “After decades of trying to limit groundwater pumping, we see kind of this test of the Groundwater Management Act,” Bahr said. She said the plan approved by the Legislature will now promote more groundwater pumping and over-exploitation of aquifers. Bahr said she’s concerned that the plan doesn’t involve looking at how different types of crops could help in using less water. “Instead, almost every facet of what the Legislature passed is tied to getting water to these Pinal County interests,” she said. Some conservationists and lawmakers have also raised questions about how efficiently water is being used on Pinal’s farms, and what steps could be taken to promote the installation of more water-saving irrigation systems. Researchers who’ve looked at ways of improving irrigation methods have found big potential for saving water on farms, which use more than 70 percent of the water supply across the Colorado River basin. When researchers with the Pacific Institute, an Oakland-based water think tank, examined water use along the Colorado River in a 2013 study, they found that irrigating alfalfa more efficiently (through a practice known as “regulated deficit irrigation”) could save nearly 1 million acre-feet of water per year. They also estimated that replacing about 10 percent of the alfalfa with cotton or wheat across the river basin could save about 250,000 acre-feet per year. That’s nearly half of the total water cutbacks that Arizona will have to face under the first year of a shortage. Thelander said people often ask him about his choices of crops. One example is barley, which he said is one of the lowest water-use crops that can be grown in the area. In the 1930s, growers in Pinal County dug wells and began irrigating farms with groundwater. The farms expanded through the 1950s and kept relying on wells. The agriculture investors in the ’50s and ’60s included the actor John Wayne, who bought land to grow cotton and raise cattle, and also invested in building a feedlot. When construction began on the CAP Canal in 1973, the project promised to help sustain the farms in central Arizona while allowing them to draw less from the aquifers. After decades of heavy pumping in Pinal County, the water tables had fallen dramatically. The ground sank in places as the aquifers were depleted. The overpumping and the sinking ground left lasting symptoms: In several areas around the region, gaping fissures opened up in the earth. In 1985, construction began on a canal system that would run from the main CAP canal to the fields in Pinal’s Maricopa-Stanfield Irrigation and Drainage District. The district paid for the nearly $100 million canal system, issuing bonds and financing 80 percent of the cost with zero-interest loans from the federal government. The first water deliveries flowed to farms in 1987, and the system was finished in 1989. It included the 56-mile Santa Rosa Canal, as well as the 17-mile East Main Canal and 130 miles of lateral canals. Through these arteries, the farms gained access to Colorado River water. Brian Betcher helped design the project while working for a consulting firm in the early 1980s, and in 1988 he joined the Maricopa-Stanfield Irrigation and Drainage District as its engineer. Under Arizona’s groundwater law, the farmlands were within the Pinal “active management area” and the regulatory system required that the irrigated areas not expand with the arrival of imported water. “For every acre-foot of Colorado River water that was received, we had to reduce groundwater pumping by the same amount,” said Betcher, who is now the district’s general manager. In 1989, the district assumed control of all the farms’ wells, acquiring them from the landowners with 40-year leases. The district has since delivered growers a mix of groundwater and Colorado River water. While one of the reasons for building the CAP Canal was to help wean agriculture from groundwater, it was also to supply cities. And the Pinal farmers knew they were at the bottom of the list in the priority system. As they began to irrigate with Colorado River water, Betcher said, the farmers were aware that the suburbs would continue to expand into farming areas and would have the highest priority for water. The irrigation districts’ initial contracts stipulated deliveries of Colorado River water through 2042. The way the system worked throughout the 1990s and into the early 2000s, Orme said, the districts were able to use the available water that remained after cities and Native American tribes had taken their allotments. The contracts didn’t list specific quantities of water but rather percentages dividing what was left among the irrigation districts. So, exactly how much water would be available for agriculture in any year was never certain. In the early 2000s, efforts to settle several water disputes were underway in Arizona. Among those issues: Leaders of the Gila River Indian Community were seeking to settle their longstanding water-rights claims; Arizona officials were in a dispute with the federal government over the repayment costs for the construction of the CAP canal; and the Pinal irrigation districts were in a disagreement with CAP officials over how much they were being charged for water. When the parties reached the landmark 2004 settlement, the farmers agreed to take a step down in the water priority system. Some of the water that they had been using went to tribes and cities. In exchange, the farmers would get water for about a third of the price that CAP had proposed to charge. At the time, Lake Mead was nearly full and the farmers felt confident they’d have an assured supply of water until 2030. Their group of water users, who took water from what was called the Agricultural Pool, faced a schedule of decreasing water deliveries between 2017 and 2030. As Colorado River water has continued to flow to farms, it has allowed groundwater levels to stabilize and recover somewhat. In some areas, Betcher said, the water table has risen significantly. Over the years, the city of Maricopa has grown and replaced some of the farmland in Pinal. Around Casa Grande, new subdivisions have also sprung up. Even after losing some farmlands to development, the Maricopa-Stanfield district still has about 60,000 irrigated acres. This year, the district plans to deliver 43 percent of its water from the CAP canal and get the remaining 57 percent from groundwater pumping. Even before the drought deal, the area has been gradually relying more on wells. Betcher said the district has a program to rehabilitate old wells and has added to its groundwater pumping capacity during the past decade. Of the $50 million sought by irrigation districts in central Arizona, about $15 million would go to Betcher’s district. The money will go toward drilling new wells and building pipelines to carry the groundwater to the canal system. Betcher said wells in the district are pumping water from 500-600 feet underground. The farmers still could return to their current schedule of water deliveries, Orme said, under a scenario in which heavy snow and rain ends the 19-year drought and sends Lake Mead rebounding. But even with the snowpack in the river’s upper basin about average so far this winter, a shortage still looks likely. And federal water managers have been pressing for the states to finish the Drought Contingency Plan. It’s unclear whether that will happen before a March 4 deadline set by the federal Bureau of Reclamation. 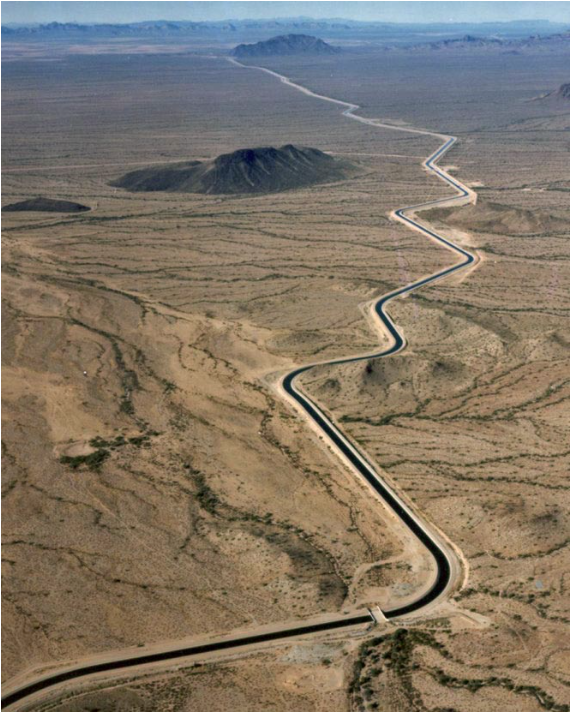 The Central Arizona Aqueduct delivers water from the Colorado River to underground aquifers in southern Arizona. UT researcher Bridget Scanlon recommends more water storage projects like the aqueduct to help protect against variability in the river’s water supply. U.S. Bureau of Reclamation. Under the deal, the Gila River Indian Community would supply the district, often referred to as CAGRD, with up to 830,000 acre-feet of desperately needed water over the next 25 years, starting in 2020. The board of the Central Arizona Project, which governs CAGRD, approved the deal in a meeting at the beginning of November. “We believe our action today helps build momentum to have Arizona approve DCP and protect Lake Mead, but at the same time ensure that water supplies are available for an important sector of Arizona’s economy,” Gila River Indian Community Govenor Stephen Roe Lewis said in a statement Wednesday. But, in a strategic move as DCP negotiations continue, Lewis has not yet signed the deal between the Gila River Indian Community and CAGRD. That moment will have to wait until Arizona’s DCP is passed by the Arizona Legislature and signed by the state. In other words, if the DCP doesn’t happen, neither does the CAGRD deal. Lewis alluded to this contingency in his statement Wednesday, as he explained how the negotiations for the CAGRD deal had proceeded in recent months. Under the deal, Gila River Water Storage, a water-storage company formed jointly by the Gila River Indian Community and Salt River Project, will sell 445,375 acre-feet of long-term storage credits to CAGRD. An acre-foot is roughly 326,000 gallons. Long-term storage credits are crucial to CAGRD, an entity that helps developers meet requirements under the 1980 Groundwater Management Act to show that their water supply is secure for at least the next 100 years. If developers don’t have 100 years’ worth of water wherever they’re developing, they can enroll in CAGRD and gain access to this future supply. They can do this because of long-term storage credits. Water users earn these credits when they store water underground for more than a year. The credits, which can be transferred, give whoever holds them the right to recover that water in the future. Without the deal with the Gila River Indian Community, if a drought were declared on the Colorado River, CAGRD’s supply of long-term storage credits for Phoenix is project to hit a shortage in the year 2028 and to run out completely by 2030. With the deal, CAGRD would have enough water to meet all of its obligations, even if there is a shortage on the Colorado River. Based on current environmental conditions, the federal Bureau of Reclamation projects that a shortage has a 57 percent chance of occurring in the year 2020. The deal also creates a way for the Gila River Indian Community and CAGRD to swap supplies of water stored underground with surface water from the Colorado River. The infrastructure for that exchange would cost $2.5 million. The deal allows CAGRD to lease Colorado River water from the Gila River Indian Community. The Central Arizona Project plans to pay for this plan by increasing the cost of water deliveries in Phoenix and potentially in Tucson. Starting in 2020, rates would increase 11 to 15 percent over the next two or three years. That translates to a total average increase of $3.11 per month, per home, by the end of the third year. After that, the impact on rates would be “small,” according to CAP. The board of the Central Arizona Water Conservation District meets Thursday in yet another high-stakes moment in the state’s effort to agree on a drought plan for the Colorado River. The board could vote — or not — on a drought framework described last week in a meeting of the Arizona Lower Basin Drought Contingency Plan Steering Committee. The state’s plan has the backing of Gov. Ducey, Native American tribes and Valley cities, but was greeted with skepticism by Pinal County farmers and home builders. A proposed “Friendly Amendment” to the plan, introduced to the Steering Committee last week by CAWCD board member Karen Cesare, asked for 21,000 acre-feet of water to mitigate developers, spread out over three years. It would also re-apportion some of the water that the Colorado River Indian Tribes in Western Arizona would provide through a farm fallowing program. Instead of storing it all in Lake Mead to keep the level healthy, some would go towards the state’s required water cutbacks under the basin-wide DCP. That change could potentially make more water available for developers and Pinal County farmers who are at the end of the line for Colorado River water (and therefore, the first to be cut). The idea, however, is unlikely to pass muster with on-river water users in Yuma and Mohave Counties. Those communities are against any on-river allocation being redirected to central Arizona, something Department of Water Resources Director Tom Buschatzke wrote in a letter to CAWCD Board President Lisa Atkins and Cesare. At least one development group, Valley Partnership, thinks the amendment isn’t needed because a separate deal between the Gila River Indian Community and the Central Arizona Groundwater Replenishment District will come through. 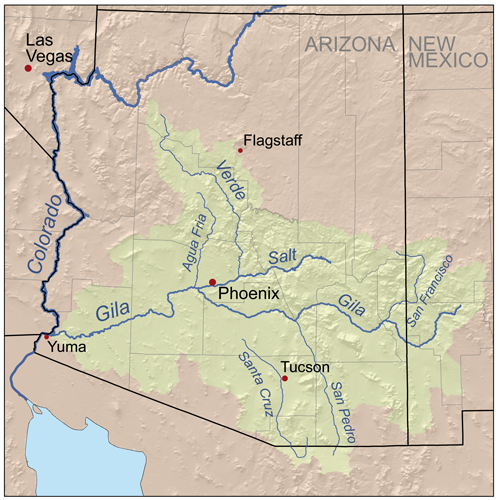 The Gila River Indian Community is entitled to about a fourth of the Colorado River water that passes through the Central Arizona Project’s canal. Much of the water flows to the reservation, where it helps irrigate about 36,000 acres of farmland planted with crops including wheat, sorghum, alfalfa, cotton and corn. Because it holds this large water entitlement, the community has become a key player in efforts to unblock stalled negotiations in Arizona among state agencies, cities, irrigation districts and tribes on a plan to take less water from the dwindling Colorado River. If Arizona manages to reach a deal — and it’s unclear whether it will — the involvement of the community and its leader, Gov. Stephen Roe Lewis, is likely to play a critical part in the agreement. Lewis has been deeply involved in the talks, offering to help while also taking a strong stance against any proposal that would undermine the Gila River community’s historic water settlement, which his late father, Rodney Lewis, helped win in 2004 after a decades-long legal fight. The governor said he thinks the parties are close to clinching an agreement on the proposed Drought Contingency Plan, or DCP. But he also said there are several principles he won’t compromise on, including defending his community’s hard-won water rights. For Lewis, the drive to defend his community’s water settlement is a personal issue and one that’s bound up in the long history of how Arizona tribes saw their water taken away starting more than 150 years ago. The Gila River Indian Community includes people from two groups, the Akimel O’odham and the Pee-Posh, and has about 23,000 members, about 15,000 of whom live on the reservation south of Phoenix. He said it’s clear that all water users will have to deal with an increasingly limited supply of water.